Experts answer the most FAQ about the non-invasive treatments that are helping you get ready for the summer season. Before we know it, summer will replace our dreary days with sunshine and tan lines—and less clothing to curb the hot weather. But with that sometimes comes insecurities about our bodies. Stubborn fat, cellulite and aging skin are often on our minds when we put on our swimsuits, but what if they didn’t have to be? Attaining your ideal version of “beach body” ready just got easier. 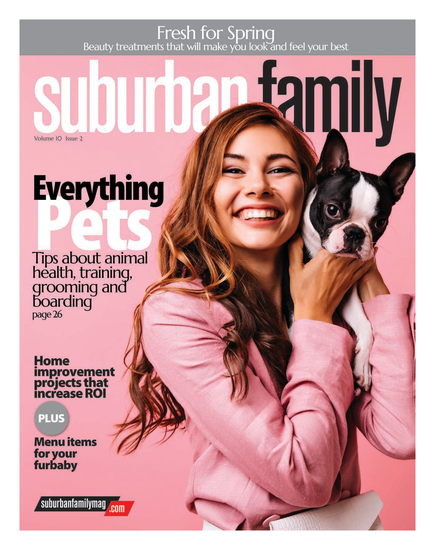 Suburban Family brings you local medical professionals you can trust with your body—and your insecurities—as they answer the most frequently asked questions about the n on-invasive treatments they specialize in. What other non-invasive procedures are out there in addition to CoolSculpting? “Everyone wants to know if CoolSculpting really works and the answer is yes, it really does. CoolSculpting is the world’s No. 1 noninvasive fat reduction procedure with six million treatments performed worldwide. It is an innovative way to contour your body by freezing unwanted fat away with no surgery or downti me. Once treated, fat cells are frozen and the body naturally processes the fat and eliminates these dead cells. Most patients see result s between eight to 12 weeks. What makes SculpSure different from other body contouring treatments? “SculpSure has been clinically proven to reduce the number of fat cells in the treated area in just 25 minutes. Treatments take just 25 minutes per treatment area and can be customized for a variety of shapes and sizes. C ontact cooling technology keeps the skin comfortable during treatment. Side effects are mild and temporary in nature, with the most common being tenderness. No painful post-treatment massage is required. Treatments can be done over a lunch hour with a quick return to work. “The application of laser heat to the surface of the sk in allows for a gentle ‘feathering’ effect so the final result is a smooth contour with a natural look. Treatments can be applied to many areas of the body. Clinical studies have shown an almost nine out of 10 Patient satisfaction. What are the benefits of Bioidentical Hormone Replacement Therapy? Is CoolSculpting just limited to women?